Would you like the gown wrapped in a personalised ribbon? Would you like your item sent in a gift box? 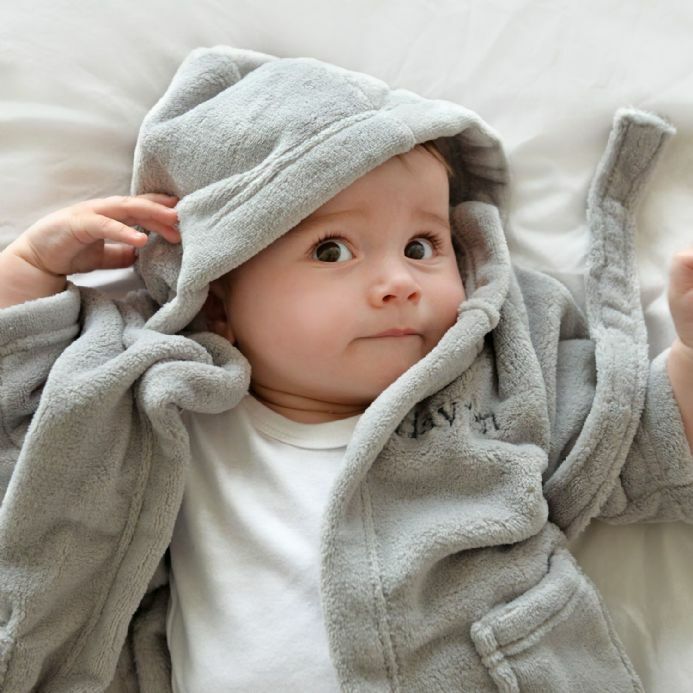 Wrap up warm after bath time with this beautifully soft and cuddly personalised grey dressing gown for babies and children. 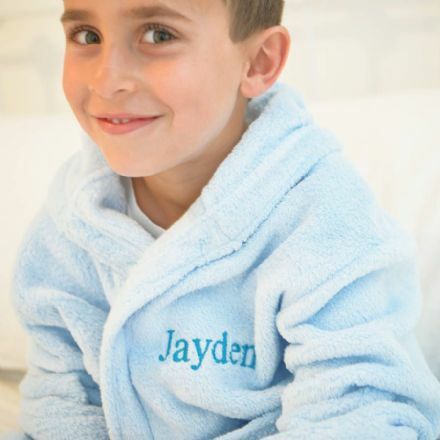 This personalised dressing gown makes the perfect night time accessory. It comes with a cosy hood, 2 little front pockets and a waist tie. The waist tie is sewn on the sides so it can't come off and cause any harm. 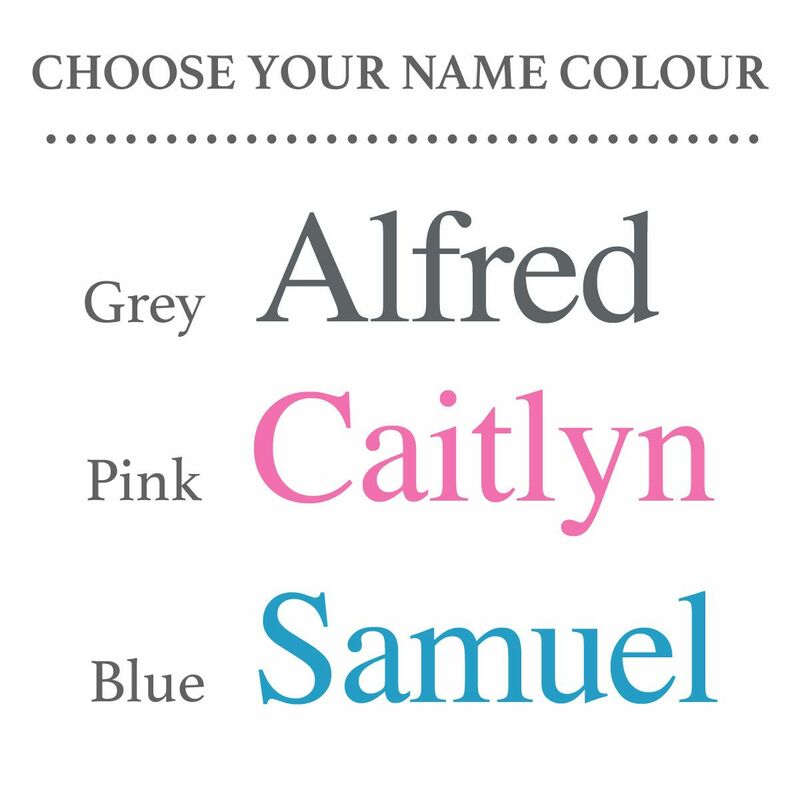 We also have a pink option, a blue option and a white option, ideal for both boys and girls. 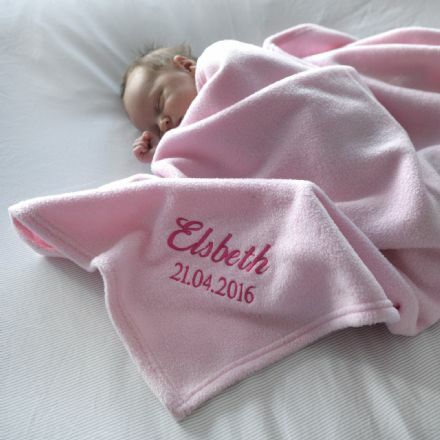 The child's name will be embroidered onto the dressing gown in a choice of 4 colours to make it an extra special, unique gift. The name will be embroidered in this format - Hayden - the first letter being UPPERCASE and the rest being lowercase. Please note: long names will have to be embroidered smaller than shorter names to fit the space. Why not add your gift message onto a piece of personalised ribbon? We will wrap the gown up beautifully in your personalised ribbon, before wrapping it in white tissue paper and box. 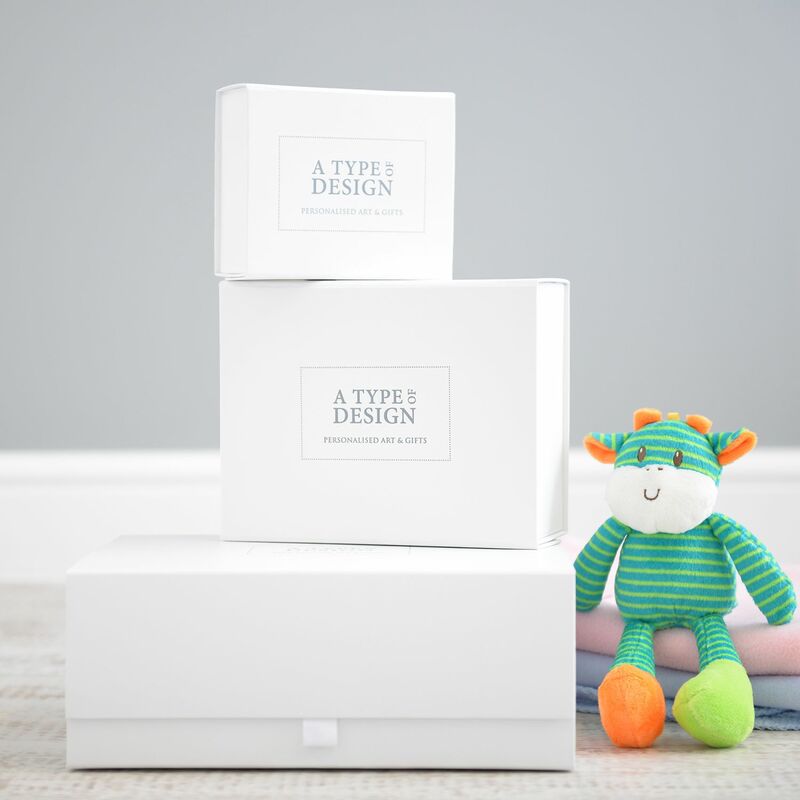 The perfect personalised gift for a special little tot. 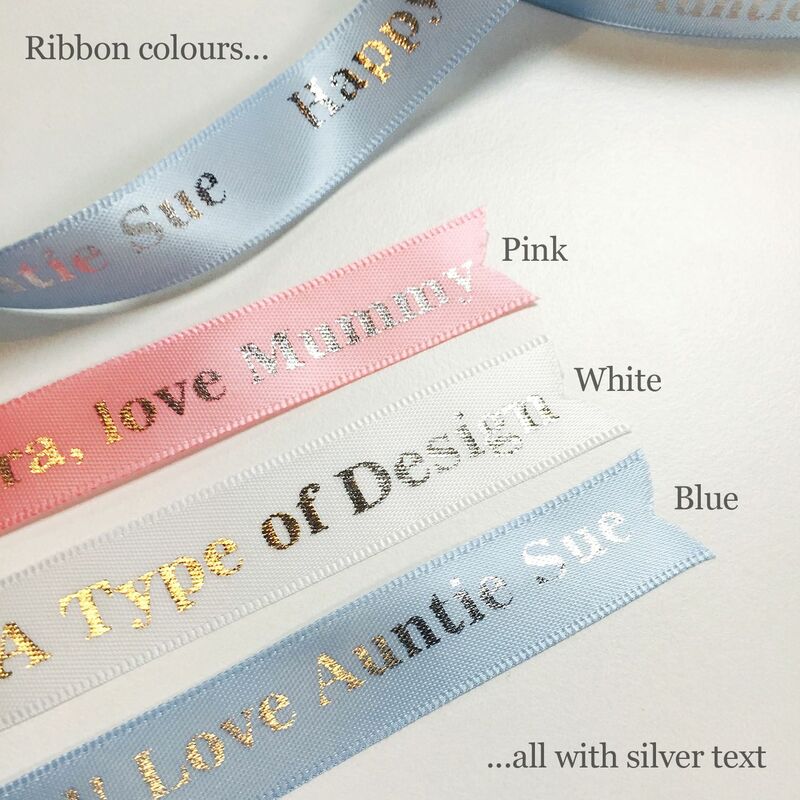 Ribbon comes in a choice of 3 colours - pink, blue and white - all with silver text. Super soft fleece, making it kind to baby or child's skin. Made in the UK. ​​​​​​​Available in sizes 6-12 months, 12-18 months, 18-24 months, 2-3 years, 3-4 years, 4-5 years, 5-6 years. ​​​​​​​You have 28 days, from receipt of cancellable goods, to notify us if you wish to cancel your order or exchange an item.